Gone Away Backward, the latest release from Americana, Roots Rock artist Robbie Fulks not only marks a triumphant return to Bloodshot records, the label that gave him his first significant exposure, but also represents a sort of back to the future homecoming, with the same sort of down home songwriting and storytelling that made him a critics darling going back to the mid 1980’s. 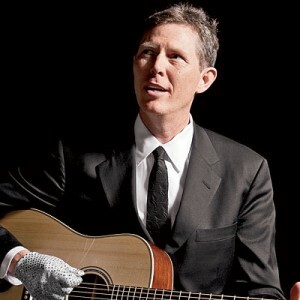 Trying to capture the essence of Robbie Fulks is a bit like trying to catch a butterfly in mid-air with one hand. It takes a lot of dexterity and a bit patience, but as you slowly open your hand and the butterfly takes flight, you notice that the vibrant colors on top of the wings are often hidden from view unless you know where and when to look, and although you are very curious, you never really know where he is going to land. For Robbie Folks, his genre-spanning career has included the rocker Let’s Kill Saturday Night, an album that features Robbie’s more rock and roll side with the guitar laden “Caroline,” along with the title track, and was a record that was in danger of establishing Fulks as an artist in the Bruce Springsteen mold. The Album Georgia Hard could have been a number one selling country album in the Roger Miller songbook, with Fulks in full Bakersfield sound warble, and that was followed up with the somewhat head-scratching Happy, an album that is chock full of Michael Jackson covers including “Billie Jean,” “Black or White,” and that song about a rat, “Ben.” Head scratching yes, but the album actually works, and is a refreshing listen. Three different albums, three different hues on the wings of the butterfly, and three wildly diverse musical portraits looking for that one last ingredient to make that perfect musical cocktail. From the opening chords of “I’ll Trade You Money For Wine,” the first track on Gone Away Backward, you are immediately taken back in time to “Man of Constant Sorrow” territory, with that same semi-mournful, almost other-worldly atmosphere that is created with the lyrics and musical accompaniment. It is a strong opening salvo that sets the stage just about perfectly. They say you can’t go home again, but Fulks does just that thematically throughout this album, and often to devastatingly poignant results. His searing, to the bone songwriting on songs such as “Where I fell,” that manages to cover selling the family store, having a job outsourced to Bombay, and the river that he would fish in with his father as a child that was too polluted to swim, all in the first two minutes of the song. The vibe here, which also carries through the rest of the album, is old school Phil Ochs and Woody Guthrie with a chaser of newer school James McMurtry. Much like a bagpipe, a little banjo can go a long way, but somehow the Appalachian hillbilly tone that is set on the banjo-noir tune “Long I Ride” works, and works well, and after a lyrics focusing listen, I was hooked. I live in Texas, transplanted from California, and truer words have rarely been spoken. Take a serious listen to this song, a genius at work. “That’s Where I’m From” is the straw that stirs the drink here. It is a devastatingly honest song that will tell you about all you need to know about this album. 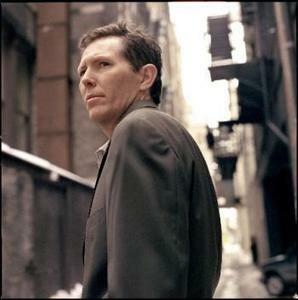 Time passes slower where Robbie Fulks is from. The song tugs on the autobiographical heart strings with a vocal performance that falls somewhere between Lyle Lovett and Willie Nelson. It is here that we discover that we can indeed go home again, as long as we use the past to inspire us, and set forth to use the present and the future to make life better for those around us. The Merle Haggard inspired barroom lament, “When You Get to the Bottom,” plays the Bakersfield sound to the fullest, and should be a must listen for anyone with those between relationship blues. The band itself is top notch, with the Appalachian style meanderings of the banjo, mandolin, fiddle, and upright bass blending perfectly with the on-point vocals and warm harmonies. Fulks himself, with his ability to change registers, takes us on a time tunnel adventure from classic pre 50’s deep woods banjo, to 60’s George Jones heartache, and inside the barrooms of Bakersfield, all against a back drop of enlightenment and self-discovery. 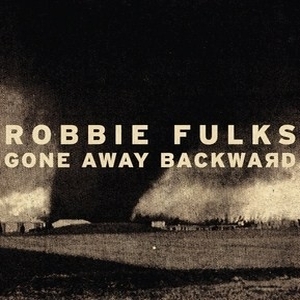 Gone Away Backward is one of the smartest albums you will hear this year, and Robbie Fulks, who has been referred to as a country version of Elvis Costello, once again proves that he is an artist at the very top of his game. I for one am going to genre-hop aboard that train that is at the station and ready to depart for his next album. I am not sure where it is going, but I do know one thing. It is likely to be one heck of a ride.